Jerry, the lame boy who adopted Lassie's son Blacktail, and his dog visit the farm, where the Martins find out Jerry can walk without his brace, but is afraid to try. Timmy tries to make up for Jerry's handicap by letting him win at checkers, but Paul and Ruth explain this is cheating Jerry. But what can he and Lassie do to give their friend confidence enough to walk? Jerry Johnson: Charles Herbert. Edith Johnson: Mary Lawrence.  Note: This is a sequel to the season five episode "The Puppy Story." Something's raided the family strawberry patch, but the large mysterious tracks puzzle everyone until Timmy catches a glimpse of the animal, describing it as a "giant rabbit." In reality it's a wallaby named Panchowho poses a danger to Lassie! Flip: Flip Mark. Del Turner: Delbert Graham. Babs Turner: Barbara Graham.  Note: Del and Babs Graham were stars of "The Flying Viennas," aerialists for the Ringling Brothers-Barnum and Bailey Circus for three years. The Grahams also appeared on a 1960 episode of Ozzie and Harriet. Although a few previous episodes have taken place in a rocky area that appeared to be Vasquez Rocks, but very tightly framed as to not be readily identifiable, I believe this is either the first episode featuring Vasquez Rocks or at least the first episode where the area is definitely identifiable. The diagonal outcropping of layered rocks is very distinctive. Cully tells Timmy no animal is all bad, so Timmy befriends a young skunk, but no one, not his mother or his schoolmates, and not even Lassie, will come near his new friend. Cully: Andy Clyde. Miss Hazlit: Sally Bliss. Trapper: Ray Montgomery.  Trivia: Cully's pet crow is named Blackie, and he has a squirrel, Mr. Bushytail, and a raccoon, Snitch, that he feeds.  Note: Odd title although Cully does have a new pet at episode beginning, since the episode is actually about Timmy's new pet! Note that Timmy is wearing the Lassie ring that Uncle Petrie gave him (it later becomes important in the story), and when he pulls the "four color pen set" out of his pocket, it has a Campbell's Kid logo on it. I'm sure the pen set was marketed as a giveaway, perhaps for some postage and some Campbell's Soup labels, on that week's episode. This has a cute opening scene where Timmy tries to trick Cully with ventriloquism and Cully, Lassie, and a gallon of ice cream turn the tables on him. :-) In addition, Cully's house is different in this episode than in later episodes. Timmy is trapped on a ledge while chasing a strayed ewe that has just given birth and Ruth desperately tries to get the attention of Chuck Martin, a helicopter pilot reseeding the hills who Timmy and Lassie befriended when he started the job. Using gasoline from the truck, Ruth finally spells out "Mayday" in fiery letters to get the pilot's attention. Chuck Martin: Kenneth Tobey.  Trivia: Timmy is building a B-17 Aurora model kit. He also likes to read about famous aviators like Eddie Rickenbacker. Chuck Martin flew aircraft in the war, and is flying a Bell 47 helicopter, the same type used in the series M*A*S*H. In a piece of trivia I never knew until just recently, the character "Chuck Martin" played by Kenneth Tobey was from the syndicated television series Whirlybirds, which followed the adventures of two helicopter pilots. While the show didn't air on CBS, it was produced by the network. A tip of the hat to ShareTV for that information! Ruth agrees to babysit Betty Wilder's infant twins, but the young mother arrives early and reluctantly leaves Timmy and Lassie to care for the babies until Ruth returns from an errand. Timmy thinks it will be a cinchuntil a marauding hawk chases a frightened pigeon into the bedroom where the babies are sleeping. Betty: Nan Leslie.  Trivia: Timmy loves babies. Timmy, who has a job as water boy to the animals of a carnival, unknowingly frees Satan, a vicious tiger, after not latching his cage properly after he gives the animal water. But he's told that the freed animal is Rajah, a gentle tiger raised from cubhood by a trainer, so he goes to search for the animal himself. Mark Ryan: James Clavin. Poletti: John Cliff. Timmy and Lassie nurse a wounded fawn that they find in the woods and Timmy, disappointed that Paul says he cannot keep it, secretly ties it in the woods in order to train it. Then a wounded bear begins stalking the animal. Jed Ransome: Phil Chambers.  Note: The scene where Lassie protects the fawn from a wolf is reused from "The Fog" in the previous season. Imagine allowing a child Timmy's age to spray and use pesticides today! Timmy finds out that Bob Alder's dog Butch is going blind from cataracts and that Bob's father wants to have him put to sleep, so Ruth hires Bob to help with gathering corn to help pay for Butch's surgery. But Butch wanders away from the field where they are working. Bob: Tommy Nolan. Mr. Alder: Jason Johnson. Dump Truck Driver: Lee J. Roberts.  Note: Paul is away in this episode. Jason Johnson, after playing crabby Jud Perkins in the Jeff episodes, and mischievous Herb Simmons in "Our Gal," plays a strict but less crabby character here. The Chapel de Los Pinos, built in 1843 by Jesuit missionaries, has been sleighted for demolition and the Martins try to prove that a flock of swallows return there every year on the same day and hour (similar to the swallows at the famous mission San Juan Capistrano), which would save the structure. But they may not arrive after a hawk attacks and injures the scout swallow, a bird Timmy calls "Pretty Boy." Mayor Henry Enders: Eddy Waller. Joe White: Hal Baylor.  Note: In the continuing question of "where is Calverton?" this episode places the series somewhere in the western United States, since the Spanish missions were built in California and other western locations (except for St. Augustine in Florida, and Lassie definitely doesn't take place in Florida). Mr. Binns, who appears in "The Egret," is mentioned here. Henry Enders, after being rampantly anti-government in "The Moved Monument," appears to have gone over to the more lawful side here. While testing a new, eagerly awaited fishing rod, Timmy sees giant footprints he thinks are from a sea serpent. The tracks are really swim fin prints made by a neighbor skin-diving, but he perpetuates the monster story to keep people away from the freshwater pearls he found in the lakea move that spells danger after Cully is determined the "monster" won't ruin his fishing. Cully: Andy Clyde. Dave Taylor: Bill Henry. Nancy Taylor: Barbara Ann Knudson.  Trivia: Dave works at Lou's Garage, but is hoping to sell the pearls to finance his own garage.  Note: Creston is still being mentioned. Prince, Alice Walker's colt, who's boarding in the Martin barn for the summer, consumes Timmy's time, arousing Lassie's jealousy. Then Prince breaks his leg after escaping from the barn, and, although the vet figures a way to save the pony, Alice's dad returns unexpectedly and says he wants the animal destroyed to save it suffering. Doug Walker: Walter Reed. Doc Hayden: Russ Bender.  Note: Doc Hayden seems to be the Martins' vet for several episodes; it was probably because Arthur Space (Doc Weaver) was playing Herbert Brown on the series National Velvet, which lasted two seasons and starred Lori Brown in the title role. Unlike the original story, the television series was set on an American dairy farm and Velvet's horse was named "King," not "Pi." Space returned as the vet after the Velvet series ended.  Trivia: Dave Taylor, from "Sea Serpent," is mentioned as being the person who can fix Mimi's car.  Note: Some very humorous scenes with Paul taken in with Miss Marlowe's charms and Ruth's perturbed reaction! Was this accidental foreshadowing? Miss Marlowe won't take Cabbage with her because he'd have to be crated in the baggage car, a fate that Lassie encounters later in the season. Timmy and Willy pool their money, and a leftover lawn mower engine that Willy has, to build a go-cart for the upcoming big race. But after Timmy neglects his chores to build the cart, sending Lassie to do them instead and causing one of the fields to be flooded, he is forbidden to ride in the time trialsbut he can't stand Steve taunting him and breaks the rules after Willy comes in last at the time trials. Willy: Linda Wrather. Steve: Steven Talbot.  Trivia: Bob Anderson, Keith Evans, Lee Brock, and Otis Smith are all making "cars" for the big race.  Note: People who twit Timmy for being a goody-goody evidently haven't seen this episode, where he's at his worst boasting of his male superiority in driving over Willy. Of course Steve Talbot being a jerk doesn't help! It's also really nice to see Willy doing something not stereotypically "girly." Timmy and Bob build bows and arrows to go hunting like Bill Reynolds, a bow hunter they met at the general store, but when Bob uses one of the hunter's arrows to stop Old Three-Toes, a lynx stalking the area, he hits an unexpected target. Bob: Tommy Nolan. Dan Porter: Byron Foulger. Reynolds: Harry Gautier.  Trivia: Dan Porter runs the general store for several episodes. In later seasons that job is later taken over by Ed Washburne. While buying candy for Christmas, Timmy befriends a boy and girl who are running away to California with their fatherwho, unknown to Timmy, is one step ahead of the law. Ruth sends a basket of food to them (which is first rebuffed until Timmy has Lassie bring it) and then Timmy collects money for them under the guise of a Santa collecting for charity. Sheriff Miller: Robert Foulk. Alice: Jennie Lynn. Bobby: Bob Folkerson. Mr. Dennis: James Lydon.  Note: Ah, those were the days! : Timmy's ten cents worth of candy is enough for him to have some, give Lassie a piece, and share with Bobby and Alice! Trespassing on Martin land, a neighbor's aggressive Hereford bull charges and traps Timmy, but Lassie fights the animal off, and Paul threatens to shoot it if it's ever on his property again; when the bull dies from strychnine poisoning, Paul is the first suspect. Dunlap: Robert Brubaker. Mac: Jack Searl. Dan Porter: Byron Foulger. When Timmy and Lassie bring home a litter of starving orphaned puppies, rescued from a maurading bobcat, the family tries to save them although one has already died of starvation. Inadvertantly, the pups teach Timmy, who's been relying on Paul to help him with arithmetic homework, about self-sufficiency. Doc Spencer: Forrest Taylor.  Note: In the movie Lassie: Best Friends are Forever, Jennifer Turner is watching a clip of a black and white Lassie episodeit is from this episode, when Lassie runs into the barn to find Trixie, Jimmy Bender's dog who's just had puppies. Trixie, incidentally, looks just like Bob Alder's dog Butch. :-) As noted in "Lassie and the Birdwatch," the writers had a hard time letting Timmy grow up. He's over ten years old in this episode, a fifth grader, and he's still doing subtraction? He should be learning fractions and decimals by that point. It would be more realistic if he was having trouble with fractions than subtraction. While collecting insects for a science project, Timmy and Lassie see a wild horse, but no one believes it happened until his discovery is confirmed by the sheriff, who orders the animal shot on sight. But Paul persuades two farmers to help him catch the creature. Sheriff Miller: Robert Foulk. Joe Manning and Ed Sloane are played by Henry Wills and Red Morgan, but do not know who played who.  Trivia: The horse is named Midnight and had escaped from a barn fire two years earlier, one hundred miles away. Russ Parker is the farmer who had his horses stolen.  Note: There is a very funny sequence with Paul fixing a lamp for Ruth that anticipates the "touch lamp" by 20 years.  Additional Note: The horse in this episode as well as in the later "Gentle Savage" looks like "Beaut," the horse that played the lead in the series Fury for so many years. Beaut also had a large role in the movie "Giant" and played the lead in Gypsy Colt, the 1953 film that was essentially a retelling of Lassie Come Home with a horse, instead of a dog, who is loved by an American girl in the modern West rather than an English boy in Depression-era Yorkshire. I've tried for years to confirm that it really is "Beaut" in both these episodes but never have had a definitive answer. The closest clue I have comes from a 1950s Whitman book called More Than Courage by Patrick Lawson, which tells stories of dogs and horses and which has a chapter on performing animals including Lassie and "Fury." Lawson states that there had been talk of a team-up between Lassie and Fury, but it had not been done yet. With the Fury series over by the time this was filmed, perhaps Beaut was finally free to appear with Lassie. 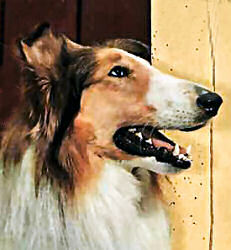 Fury and Lassie have other connections: both series were originally filmed on the Iverson Movie Ranch; Fury's star Bobby Diamond appeared three times on Lassie and co-star William Fawcett appeared once; James Seay, who played the sheriff on several episodes of Fury, also appeared on Lassie in several episodes.  Trivia: Timmy knows how to use a rifle.  Note: Hugh Reilly was absent from several episodes in this era; sometimes Paul is explained as being off in another part of the farm, sometimes he is said to be away doing business for the Grange. In this outing, Ruth talks about him being "at Uncle Petrie's" for two weeks, the first time Petrie is mentioned since he left the show and then appeared in "In Case of Emergency." When Timmy cleans out his closet, you can see the "T. Martin" helmet he wore in "The Big Race." When the Martins travel by train to Chicago so that Paul can attend an agricultural exhibition for the grange, as well as to visit Ruth's mother and family, Lassie is taken along, but her crate falls off the baggage car enroute and Tom and Jess, two friendly truckers, try to help her get back where she belongs. Conductor: James Burke. Hank Loomis: Woodrow Chambliss. Tom: H. Lloyd Nelson. Jess: John Mitchum.  Trivia: The train from Capitol City to Chicago goes through Colesville and Burnham. Lassie's crate falls off at Dry Creek turn. Lassie's baggage tag number is 122, and the train she is riding on is #22, the Comet.  Note: Could this have been a "trial run" for "Lassie's Odyssey"? Tom and Jess are uncredited, but it's obvious that Tom is played by Lloyd Nelson; his voice is a dead giveaway. The IMDb credits Jess as being played by John Mitchum. James Burke will return in season 8 to play Mr. Jensen; three years before Lassie was a gleam in Robert Bray's eye, Burke and Bray co-starred in the western series Stagecoach West, in which Bray played widower stagecoach driver Simon Kane based in the town of Timberline and Burke is Zeke Bonner, who runs the halfway station between Timberline and Outpost . Cully and Timmy paint and fix up a stall in Cully's barn so the elderly veteran can play host to his old regiment's Army mule Shadrack, but he and Timmy must save the animal from being destroyed when it suddenly goes mad and begins rampaging all over the countryside. Cully: Andy Clyde. Sheriff: Robert Foulk. Dispatcher's Voice: Lloyd Nolan. Mr. Nolan: Gil Perkins.  Trivia: Other neighbors of the Martins are the Franklins and the Peabodys. Cully says Shadrack is 45 years old, which makes him born in 1915. He was probably two or three when he served with Cully. He won a medal for service in the Argonne Forest, for having served under fire without eating for two weeks. Shadrack also suffered a bout of lead poisoning during the war.  Note: One of the first things I remember on television about the dangers of ingesting lead paint. The animal's throes in his sickness are portrayed as truly frightening. After finding out the local Army base needs dogs to guard their missiles, Timmy adopts Homer, a German Shepherd from the dog pound, to give to the Army, but the dog has become so cowed from abuse that the family wonders if he can ever be trained. Still, Timmy perserveres with Lassie's help, building a training field and working with a dummy for Homer to attack. Jim Simpson: Dan Sheridan. Sergeant Nolan: Paul Langton.  Trivia: Timmy's friend Bud Phillips owns a German Shepherd. Jed Hansen used to own Homer, whose full name is Homer Wilhelm von Fritz III.  Note: Suddenly the Martin farm is near a big Nike missile base, staffed by the 47th Artillery Brigade (AD). Some nice clips of early Nike Hercules missiles are shown, along with guard dog training sequences. However, the missile the men are studying is a Nike Ajax. While training Homer, Timmy is shown in the "crash helmet" marked "T. Martin" that he wore in "The Big Race." Timmy and Lassie watch in horror as a man first raids a golden eagle's nest and then accidentally destroys her only egg after the eagle attacks him, so Timmy gives the bird a goose egg to raise and also feeds the eagle so it won't have to leave the nest so much. To his and Ruth's surprise, the goose egg hatches and the eagle brings up the gosling as her own.  Note: "Mrs. Eagle" turns up in several sequels. According to Ace Collins in the liner notes for the 50th anniversary DVD set, "she" is actually a male named Solomon, who also appears in the Season 8 episode "Lassie and the Eagle," Season 9's "Eagle's Lair," and season 10's "The Treasure." However, a correspondent tells me that in the book Gifts of the Eagle by Kent Durden, Mr. Durden says the eagle involved is a female named Lady. There are flying sequences and nest sequences, so it's possible Solomon did the flying sequences and Lady the scenes on the nest. The eagle sequences were filmed by Ed Durdin and Ray Dietrich, one of whom may play the man who raids the nest, as the eagle executes a very neat flyover of the station wagon. An Ed Durden (note the spelling difference) was Kent Durden's father; it's possible it was misspelled in the credits. The Martins meet the Slocums, a backwoods family enroute west to the city to relocate and look for factory jobs after a drought after Timmy, as a joke, plants an old purse in the middle of the road. But when their son Billy Joe finds out his parents plan to give away his beloved dog Mitchell, he swears Timmy to secrecy, then he and the dog head for the woodswhere deer season has just begun. Timmy and Lassie find the two hiding out in a bat-ridden cave, but can they all get back to the farm without being hurt? Billy Joe: Billy Hughes. Pa: James Griffith. Pearlie Mae: Ellen Corby.  Note: Another synopsis for this episode states "Cracker Jack runs away when his parents plan to give away his dog." Billy Joe is never referred to as "Cracker Jack" anywhere in the episode, nor is the exclamation "it's cracker jack" or any permutation of such ever used. My theory: The character was originally called "Cracker Jack," and copyright issues due to the trademarked popcorn snack got Hughes' name altered when the show was filmed, but CBS released the original story synopsis. Another curiosity: The sequel to this episode is entitled "Yochim's Christmas," and both Timmy and Billy Joe pronounce the family name as "Yochim" in that story. However, the family is clearly referred to as "Slocum" in this episode. When Paul offers to farm land Cully has allowed to lie fallow, the old man assumes Paul means he is too old to work and should just retire. But after Timmy gives him a pep talk, Cully decides to fight back by hitching horse to plow and farming his land again. It takes Cully's hound Sam and Lassie to turn the tide. Cully: Andy Clyde.  Trivia: Cully's plowhorse is named Jupiter and his cow is named Arabella. Ruth is on volunteer fire watch duty during a dry spell and must take action when a forest fire starts due to a careless smoker, but will a wind change trap both her and Timmy in the tower? Meanwhile Lassie helps Ranger West start a backfire after he's injured in the path of the fire due to a fall from his horse. Ranger Wade West: Marshall Reed. Sheriff Miller: Robert Foulk. Dispatcher: Charles Tannen.  Trivia: Elsie Bates is another one of the women fire watchers; wonder if she's any relation to the now-departed Boomeran aunt, perhaps? The instrument Ruth uses to locate the fire is an Osborne fire finder. The fire has started at the Putley Cutoff to Kelton Canyon.  Note: Remember the shot of the motorist who starts the fire with a carelessly tossed match after lighting a cigarette; this clip will show up in at least two future episodes.  Note: Paul is away in this episode. The Garcias are living in what is usually Cully's house. Eugene Martin was the stage name of Eugene Mazzola, who had a prolific career as a child actor, including playing the young Rameses in The Ten Commandments.. As an adult he now works behind the camera. His mother appeared in The Godfather, Part 2.  Trivia: Kent is the owner of the Calverton Packing Company. Fred Jones sells Jersey cows.  Note: Paul is away in this episode. Again, the usual solution for a cow that is "going dry" is to introduce her to a nice bull and let her have a calf. Not sure if the "city folk" writing the episodes didn't know this, or it just wasn't permissible to mention that sort of thing on television back then. Lassie and Caesar, an Army homing pigeon that Timmy nurses back to health after an attack by a hawk, become so attached to one other that when the bird is returned to the Army, Lassie refuses to eat, and Caesar frees himself to return to his collie friend. So Timmy decides to see if the Army will allow him buy the bird. Sergeant Nolan: L.Q. Jones. General Steele: Raymond Bailey. In all of these early Army episodes there is a noncom named Nolan; as in "The Patriot" and see "Timmy and the Martians." Very funny scene at the end: Nolan has inadvertantly referred to the General as "Ironpants" in front of Timmy, and later when Timmy pleads his case to the officer, he accidentally calls him "Ironpants," to Nolan's chagrin. Paul is away in this episode.  Trivia: Mr. Conte's brother lives in nearby Beaumont. The carnival was located near Route 22.  Note: Paul is away in this episode. Again, you can tell Conte is a bad guy: he wears a loud, checked suit and uses slang. Joe DiRita was known as being "Curly Joe" in the later "Three Stooges" shorts. This episode is a reworking of the Jeff episode "The Carnival." Timmy and Lassie make the acquaintance of Captain Gene Holter, a man who makes his living racing his two ostriches Romeo and Juliet against horses at county fairs. But when Ruth finds out Juliet, defending a egg she just laid, chased Timmy, she forbids the boy to return to the fairgrounds. Holter: J. Pat O'Malley (a second appearance for this Lassie Come-Home alumnus). Judge Baxter: Nolan Leary.  Note: Paul is away in this episode. Juliet, like most birds, is attracted to the big shiny buttons on Timmy's sweater. Gene Holter was a actual person who ran Holter's Wild Animal Show (Holter's Wild Animal Circus) in the 1950s-1960s, and he did feature racing ostriches as well as racing camels, plus other animal acts (his show was much bigger than what is shown on Lassie), and he did drive a Cadillac Eldorado like the one shown in the episode, with the number "100" painted on the front side panel. It's safe to assume the ostriches used in the episode are his. When Lassie brings home Beauty, a tiny burro who once belonged to deceased prospector Dry Creek John, who lived alone on Rock Creek, Cully think the creature knows here the old man found gold. But when Cully and Timmy use Beauty to find the mine, the timbers collapse around them as they are pickaxing out their treasure. Cully: Andy lyde. (The two men manning the Calverton Fire Department rescue squad are uncredited.  Trivia: Timmy's list of people to give gifts to when he's rich include his dad and mom, Willie Brewster, Judy, Annie, Jerry, Steve, and Bill. Is this Jerry who owns Blacktail? And if it's Steve Talbot...why? He's such a drip in "The Big Race."  Note: Paul is away in this episode. Of course, the gold turns out to be iron pyrite ("fool's gold"). Gold is soft; you can bite into it, while iron pyrite is hard and crystal-like. By the way, did you ever wonder why on earth Ruth did not protest, even a little bit, that Cully was taking Timmy to look for gold? I know the Martins consider Cully a surrogate grandfather for Timmy, but didn't she think it just might involve going underground? Might be dangerous? Timmy bets Lassie's new jeweled collar that she can beat a friend's new greyhound, Pat, in a race, and puts the collie into a strict traing regime. But he is dismayed and humiliated when Lassie loses, and eager for a rematch. However, an exploration of a old timber mill will prove Lassie's mettle. Steve Johnson: Richard Correll. Mrs. Johnson: Peggy Stewart.  Note: Steve turns up again in later episodes, but you never see Pat again. "Baby" goes with Timmy to the mailbox, and is the dog romping with Timmy before they see Pat; "Spook" is in the remainder of the scenes. Paul is away in this episode. While chasing a strayed steer, Timmy befriends Charlie Gaynor (don't call her "Charlotte" unless you're an adult, especially her dad), a tomboyish girl whose rodeo-rider father fears competing again after a bad accident the previous year, and gets a "steer"-riding lesson from her on one of the family calves. When the horse he draws to ride is injured, Charlie's pet horse Nightmare, a former bucking horse which hasn't competed in years, but who becomes agitated when Lassie barks at him, is substituted. Charlie: Patty Ann Garrity. Lucky Gaynor: Chris Warfield.  Note: This story is very similiar to "The Sulky Race," in which Lassie persuades a disinterested horse to compete. Paul's away in this episode buying livestock. While playing on her own as Timmy studies for an important examination, Lassie brings home the talking doll belonging to a 6-year-old girl, who is trapped in a concrete irrigation ditch that's slowly filling with water. Since Timmy's decreed that from now on Lassie's toys will stay in the barn, will they find out about the doll in time? Jenny: Florence Lake. Girl: Cynthia Lane. Deputy: uncredited, but IMDb states he's played by Roy Engel.  Note: Really cute opening scene: Timmy is cleaning his closet, trying to ditch Lassie's old toys, but saves even his broken ones! Like Jeff, Timmy laments his time at his books: "Study, study, study. I bet I have a gallon of words in my brain." As in "The Pigeon," we could subtitle this "The Case of the Rapidly Switching Lassies": "Spook" opens the story, but it's a collie with no blaze at all who attacks Ruth's mop (this is also the dog that roughhouses with Timmy in his room). "Spook" then sticks his nose in the window, and only for the window scene becomes "Baby"! "Spook" then trots into the woods and reused is a cut of "Lassie Jr." The blaze-less collie is back when Ruth is hanging clothes, and you see "Lassie Jr" swimming later on. The aircraft flying overhead that causes the little girl to fall is a B24. And check it out: there's the old icebox in the barn again. Meanwhile Paul's away again, this time at the opening of the new aqueduct. Timmy believes that the "Martian communicator" he and his friends Steve and Bobby built out of old radio and electronic parts caused an Army plane crash, so when the Army comes to investigate, his friends flee saying the crash was his fault because he switched on the gadget.  But it turns out perhaps Lassie can help in the investigation; she started to howl right before the crash. Major Thornton: John Archer. Colonel J.R. Compton: Roy Barcroft. Steve: Richard Correll. Bobby: Gil Rogers. Professor Stoddard: Byron Morrow (as noted by IMDb; the part is uncredited).  Note: As in "The Pigeon," this noncom is also named Nolan, but he's not played by L.Q. Jones and shows no sign of recognizing Timmy. Colonel Compton's office is the same as General Ironpants'...uh, Steele's...office in "The Pigeon." The plane that crashes is a Cessna L19. Paul's away on a trip again! No wonder by the time "The Wayfarers" begins you never see Timmy with any friends. The moment trouble comes, they ditch him!